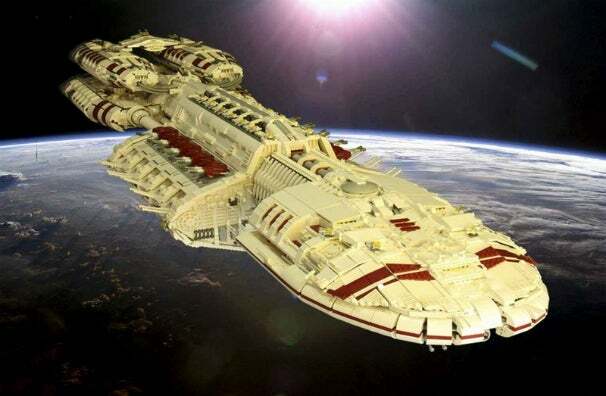 This Lego Battlestar Is Six Feet Long! We’ve seen some pretty crazy cool Lego machinations and Lego replicas but this six-foot-long Battlestar probably tops all of them. 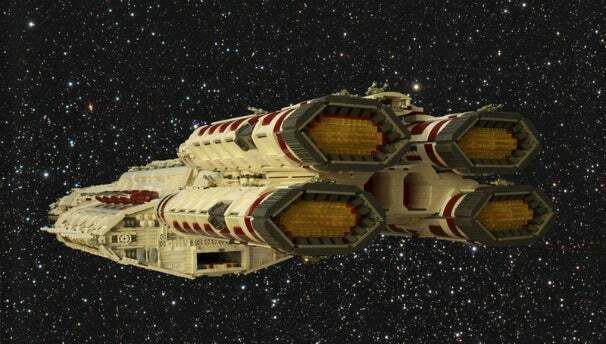 This massive Battlestar Bezerk inspired by the re-imagined original Battlestar Galactica from Razor took Lego enthusiast Garry King in two months to build. This gargantuan Battlestar Berzerk measures 73 inches long, 24-inches wide, and 13.8 inches high (that's 186 cm by 61 cm wide by 35 cm if you prefer the metric system). It's made from 54.2 pounds (24.58 kilograms) worth of Lego bricks, and that’s not including the timber backbone and steel supports that King had to install to keep the lower engines from sheering off. Might I also mention the model has a hell of a lot of detail to it with a splash of colony red, 10 huge main canons, 10 secondary canons, and 68 smaller canons. King claims he’s built a small collection of raptors, vipers, and raiders, but he has not put up the pictures for them yet. For his next project, King plans on making a seven-foot long Battlestar Valkyrie. We can hardly wait. Are you hyped for Blood and Chrome? Leave a comment.